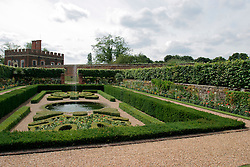 UK ENGLAND SURREY HAMPTON COURT PALACE 19JUL04 - General view of the Privvy Garden at Hampton Court Palace. 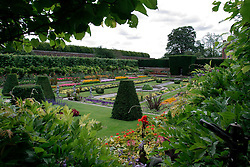 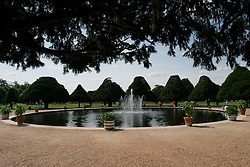 The Palace and its famous royal gardens were founded by King Henry VIII in the sixteenth century and were developed through the centuries by subsequent sovereigns, determined to have the most fashionable and elegant gardens of their era. 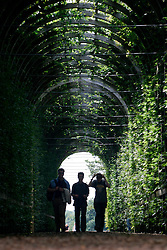 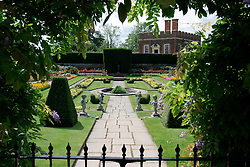 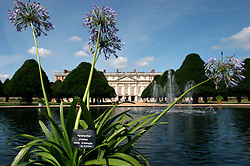 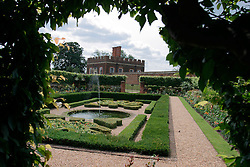 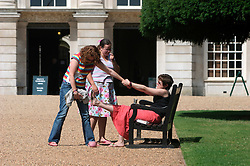 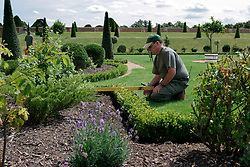 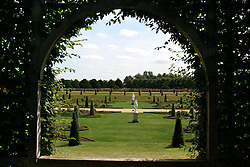 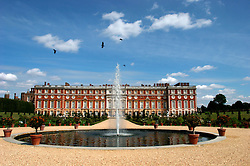 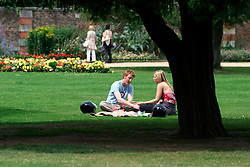 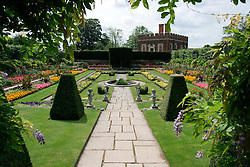 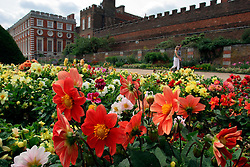 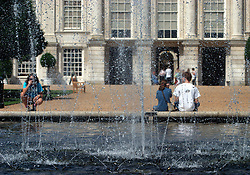 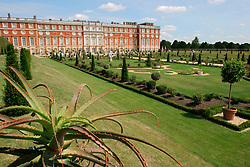 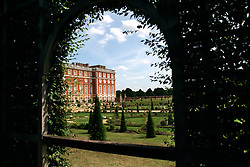 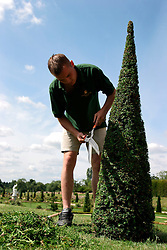 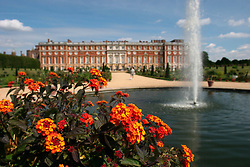 2004 is the Year of the Garden at Hampton Court Palace and it is celebrated by a series of special events like the Tudor-costumed garden tours.